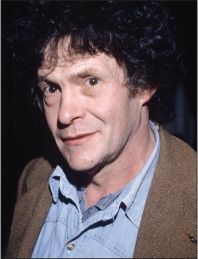 Heathcote Williams was an exceptional writer. Championed by the Nobel laureate Harold Pinter, the British wordsmith wrote more than a dozen books and plays during the 1970s and ’80s that received widespread acclaim on both sides of the Atlantic. Yet it was Williams’ eccentric ways beyond the written word that won him fame. A poster boy for the countercultural revolution, he co-founded a secessionist state in a squat in West London, helped launch an anarchist publishing house, and ran an “estate agency” that directed homeless Londoners to abandoned buildings. Williams even tried his hand at fire-eating—only to suffer severe burns after accidentally setting himself alight outside his girlfriend’s house.